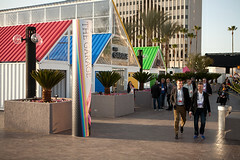 Made from five modified 40-foot shipping containers, our 3,000 square foot structure for Google at TED included viewing areas, a cafe, games and more. 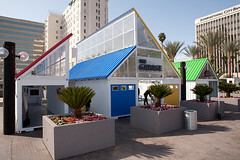 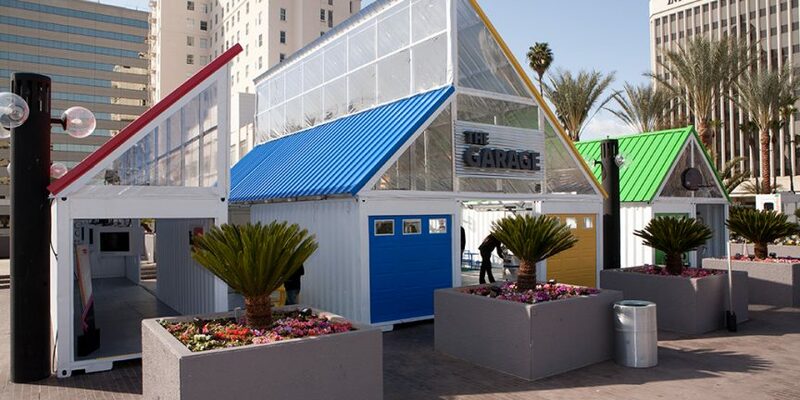 Boxman Studios, the recognized leader in immersive branding via modified shipping containers, working with interactive agency Sub Rosa, unveiled the Google Garage this week at TED Long Beach. 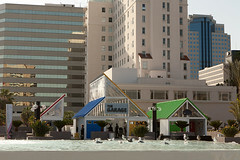 The highly anticipated project has been kept under wraps until today. 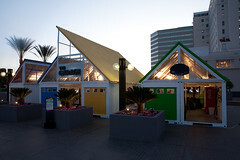 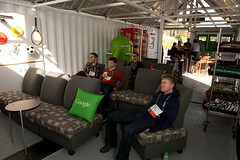 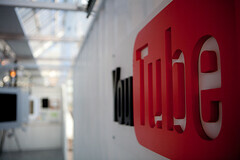 The Google Garage offers TED attendees a place to escape the hectic pace of the conference. 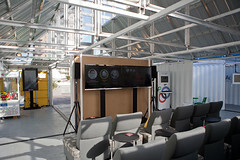 The Garage boasts two viewing areas that show TED speeches on 60-inch monitors, a coffee bar with snacks and cold beverages, a basketball court, a charging station for mobile devices, multiple interactive YouTube screens and even a claw machine. 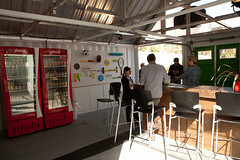 A claw machine!